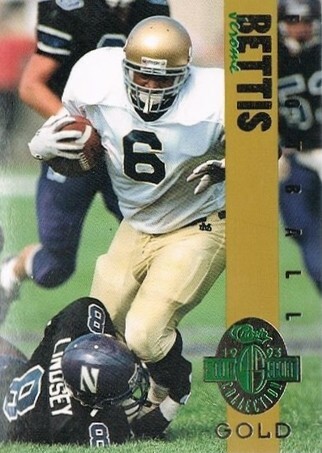 1993 Classic 4-Sport Gold card of former Notre Dame superstar running back Jerome Bettis. 1 of only 3900 made. NrMt-Mt or better. ONLY ONE AVAILABLE FOR SALE.